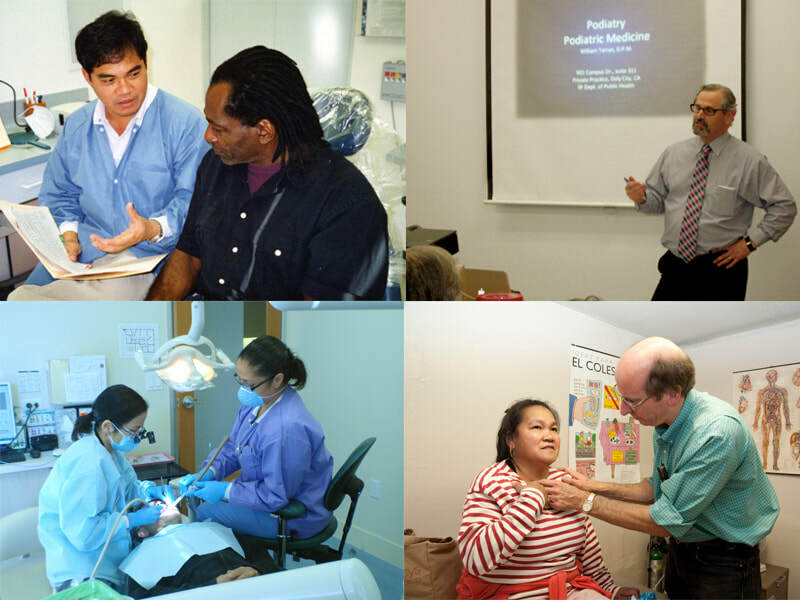 CCMP’s membership includes physicians, dentists, nurses, podiatrists, pharmacists, optometrists, opticians, physical therapists, students and any other volunteers striving to establish a comprehensive approach to preventive health care for people whose health care is inadequate, and who wish to play a role in advancing CCMP’s programs. Our free and voluntary programs stand as an example of how much could be accomplished if we had a health care system that made services and resources available to those most in need, and did not deny access to health care due to one’s income or age. CCMP volunteers are organizing to demand a systemic change in government health care policies to fulfill the needs of all working people versus the current reality that constitutes economic segregation and institutionalized inequality. Voluntary membership dues are $10/month or $120/year. The biggest benefit of being a member of CCMP is being part of strong organization to fight for control of our health and the future direction of our health care system.